Ubuntu-set Network proxy with Authentication , we know that Ubuntu provides various ways to access Internet through proxy servers. 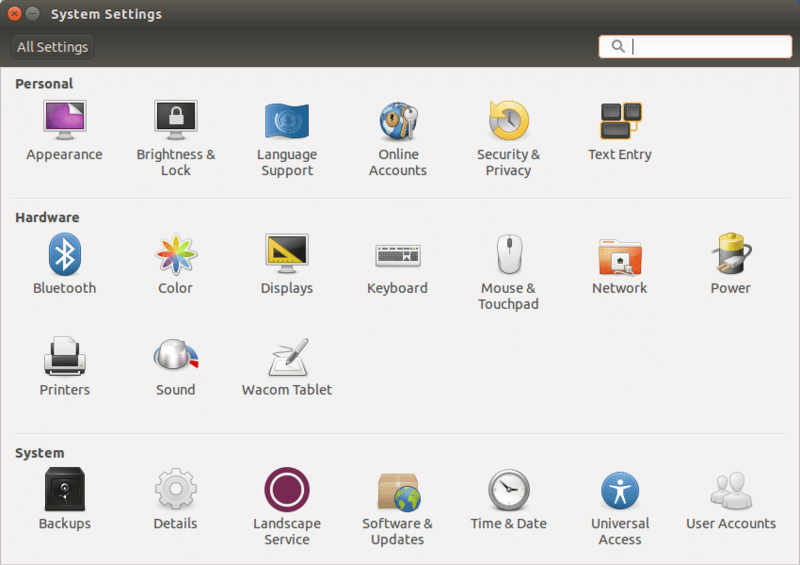 One of the easiest ways is to use the Gnome Network Properties. 2. Click on Network and then click on Network proxy. 4. Finally click on “Apply System Wide” and you are done. If you are accessing Internet from School/College/Office network, chances are that you need to enter authentication details. And that’s where Gnome Network Properties fails. It does not provide any means to connect through a proxy server. Another problem that occurs sometimes after you set proxy through Settings -> Network -> Network Proxy -> Manual -> Apply System Wide is that the packaging tool apt-get and Ubuntu Software Center can not connect to Internet. There are two ways to overcome these problems. 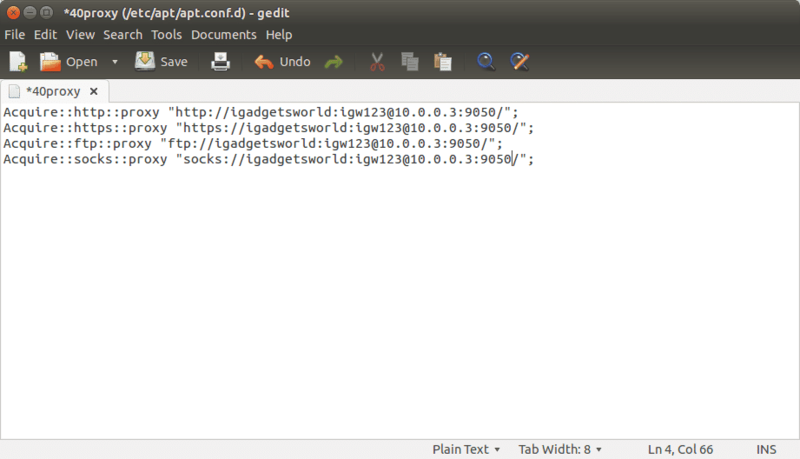 This will create a file 40proxy in the /etc/apt/apt.conf.d directory and will open it in gedit text editor.